At ShareGrid, we know you love gear like we do. While it’s fun to speculate on future technologies, sometimes it’s nice to take a look to the past. That’s why we’re looking back at unique and influential cameras that changed filmmaking as we know it. Whether you’re here to learn some history or shed a nostalgic tear for the past, welcome to the ShareGrid Camera Hall of Fame. Our first entry: The Panasonic AG-DVX100. For a mere $4,000, you could get standard definition digital video exclusively in 4:3 on glorious Mini-DV. That might not sound so glorious today, but in 2002, it was a big deal. 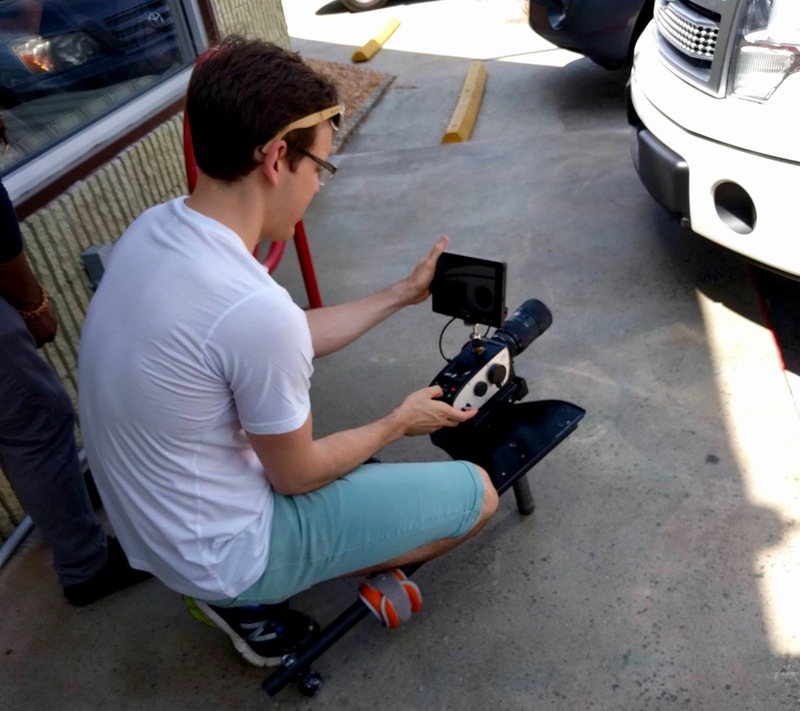 Digital filmmaking for smaller productions was super limiting (and expensive). Meanwhile, major motion pictures (like the first two episodes of “Star Wars”) were being converted back onto film for theatrical release. The future of the format was still unknown, but the DVX100 was about to make a strong case for the digital transition. As the first sub-$10,000 digital progressive scan camcorder to record in 24p (to imitate film’s 24 fps) the DVX100 would bring film-like digital capabilities to more hands than ever before. Progressive video at 24p (24-frame progressive mode) was a big deal for video cameras in 2002, as it allowed filmmakers to avoid the twittering noise from interlaced recordings by using frame rates that emulated film. At the time, the DVX100 was the the most cost-effective way for filmmakers to shoot digital with professional features, and you better believe that filmmakers of all backgrounds took Panasonic up on the opportunity. The DVX100’s on-paper usefulness to indie filmmakers quickly got backed up in practice. In 2004, “November” made its premiere at the Sundance Film Festival and, while the film itself wasn’t reviewed particularly well, Nancy Schreiber’s cinematography was. She shot the film on two DVX100’s and used clever lighting techniques to set a strong visual tone for the film. Director Greg Harrison had some very complimentary things to say about shooting Mini-DV for the film. “November" wasn’t alone. Less than a year later, “The Puffy Chair” made its Sundance and South by Southwest debuts, and helped spearhead the mumblecore movement in indie cinema. The Duplass brothers shot their landmark first feature for only $15,000 and the DVX100’s look was reminiscent of the 16mm indie films that Sundance was known for. Here, though, the Duplass brothers were able to shoot a largely improvised feature without the fear of running out of expensive film. This advantage of digital filmmaking, and its most affordable professional option, wasn’t lost on the rest of the industry. The Duplass brothers weren’t the only people to recognize the advantage of 24p digital video. Seasons 1-5 of It’s Always Sunny in Philadelphia, a show created around improvised anarchic comedy, were shot of the DVX100. It was one of the first television shows to be shot in 24p standard definition video and the show itself helped usher in a new age of single-camera sitcoms. To make a show with as much edge and little original star power (Danny Devito didn’t arrive until Season 2) on air was risky, so costs had to be kept low. That, and the show’s improvised nature, made it a perfect fit for the DVX100, and they must have liked it, because they stuck with it for five seasons before moving on to HD. The DVX100 might have made its biggest impact on reality TV. The budgetary restraints and improvisation seen on It’s Always Sunny are even more prominent in reality TV, where run-and-gun shooting is an additional hurdle. 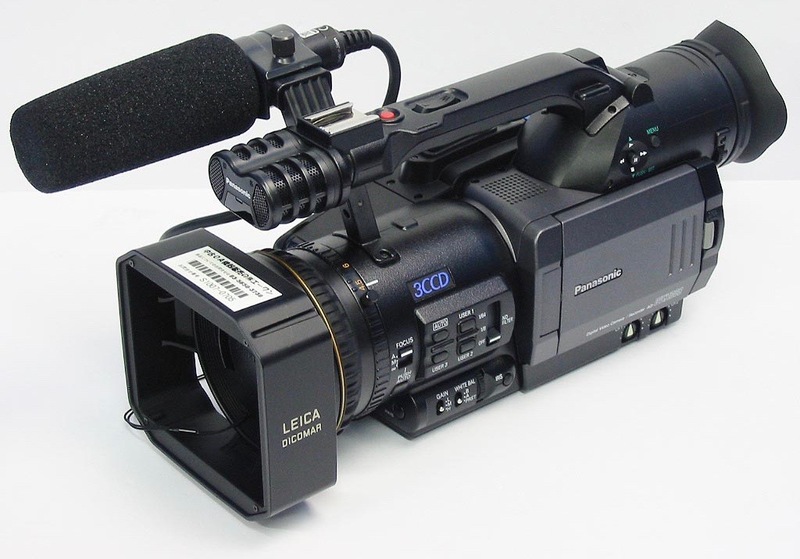 MTV reality shows like Laguna Beach, Wildboyz, Jackass, and My Super Sweet 16 made heavy use of the DVX100 because of its camcorder portability, malleability for professional modifications, and affordability to operate multiple units at one time. When the DVX100b came out, these shows were given additional 16x9 and firewire capabilities, allowing for specific settings on one camera to be shared with others. Will We Ever Become Nostalgic for This Look? On that note, the DVX100 deserves its place in cinema history and, for that, we welcome it into our Camera Hall of Fame.